Steve Jobs is only king of Innovation in apple, How ? Steve jobs , after come back in apple, has turned this company into gold mine by his stay hungry stay foolish policy but, experts have been asking the question,what is the future of apple without Steve jobs ? The on-going health problems of Steve Jobs are bringing up a number of questions about the future of Apple. How will Apple manage without him, both in the short term and when he retires – hopefully in full health in many years to come. While every major tech company has a founder and CEO, none are nearly as important as Steve Jobs in terms of ongoing innovation and product development. For years he has had the very profitable knack of knowing exactly what consumers want and being able to turn these visions into reality. While he has not always been right, his record has simply been astounding. The reason he is so important to Apple is because he uses his own sense of taste and intuition in product design, in a way that is integral to the entire Apple team. “Steve is one of the most instinctive people I know,” says Michael Hawley, a computer scientists at M.I.T. who worked for Mr. Jobs. This fact is made even clearer when you discover just how little emphasis he places on consumer focus groups and market research. When products are being developed, they are generally shown to Jobs and maybe a few members of his team, instead of the extensive phases of market research that are sometimes used by some other manufacturers. “It isn’t the consumers’ job to know what they want.” said Jobs once in relation to a question about market research, although obviously it is a job that he himself takes very seriously. While the Apple line is quite full right now, and there is no danger for the immediate future, the long term development and evolution of Apple is heavily dependant on the life and health of its visionary leader. 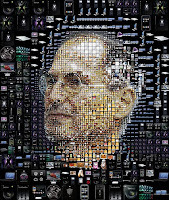 Original Story Can apple prosper without steve jobs ?